Our House is open 24/7 365 days a year to families who need our services. This means that many holidays come and go while our House is full. 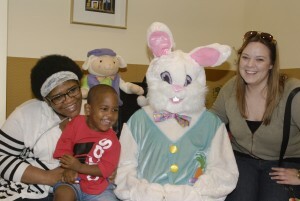 This Easter, we tried to make sure the families staying at RMHCA didn’t miss out. Several groups and organizations donated Easter baskets. The Easter Bunny then stopped by for a visit, an Easter craft time and an Easter Egg Hunt in the courtyard!! The Easter Bunny stayed long enough to get a photo with each family. Thanks to great volunteers, we had three meals provided — breakfast, lunch and dinner. Some kids staying at the House have special diets or at least cannot eat too much candy, so we tried to make the day as fun as possible with alternative surprises. 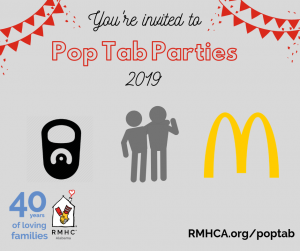 Holidays can be tough for a family going through a medical crisis, but with special people like the ones who support RMHCA, we can help these families celebrate the holiday in a meaningful way.